Many baby boomers want to get back into activities that defined their younger selves. 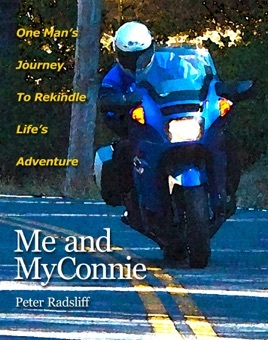 Peter Radsliff bought a motorcycle after not riding for twenty-years and it rekindled his spirit for adventure in surprising ways. As someone who is an avid photographer, scuba diver, and performing musician while currently being CEO of a Silicon Valley tech startup, Radsliff has deftly used the ebook format with photos, links and video to share some interesting insights on how his first year back in the saddle taught him things he had forgotten about himself.